New electronic system, Express Entry is introduced to manage numerous applications of Canada immigration for permanent residence under certain economic immigration programs. This system is also considered to be the first step to migrating to Canada. The one best thing about this program is that there is no deadline fixed to complete a profile and also there are no caps levied as to some candidates to be accepted in a pool. Potential candidates for immigration to Canada are required to update their profile on Express Entry Profile. The candidates need not worry to part away with their sensitive data as it is the secure form where they can update varied information about their skills, language ability, work experience, education and lastly other relevant details which would help the assessors to assess them. 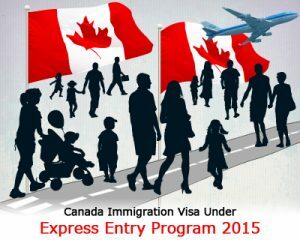 Those candidates whose profile has been accepted in Canada Express Entry 2015 pool might get an invitation to apply for permanent residence. Over the course of each year, rounds of invitations to invite candidates to apply would be held. The top candidates would be picked, and it does not matter much as to when their entry in the pool was. So the requirements for Canada Express Entry are high skill and experience. Thus those candidates who are highly skilled and experienced have brighter chances of getting picked in the pool than others. One of the features of the Canada Express Entry is that candidates will have 60 days to complete Application and submit the same on permanent residence online site, after receiving their invitation. During, the end of January this year, the first round of invitations have taken place. The second round of Express Entry has been conducted within few days following successful completion of the first draw.